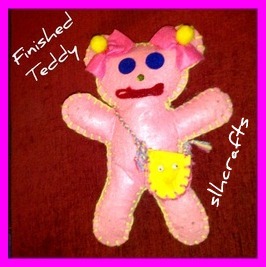 The photograph above shows a teddy that I sewed together from a ready made sewing pack for children. I used blanket stitch around the edges. I added my own touches to the teddy. My little sister enjoyed playing with the finished stuffed toy I made.